I can help you "anonymous". Go to "others" then scroll down to "voice assist dialling" and press "OK". Then simply scroll up to "off" and press "OK"
Louis, 23 Jul 2015 The phone seems to be great, but the instructions that came with it are unreadable. I can ... moreIt took me forever but I found it. The phone seems to be great, but the instructions that came with it are unreadable. I can not find a user-manual for this model on the internet. 1. "There is no dedicated key for Agenda. The same as previous, you have to navigate through Menu in order to reach the Agenda (3 steps). 2. "Another minus is that you cannot de-activate the voice (you can hear the number you are writing), on General profile. For some people is very useful, but for other might be annoying." 1.Please, how can I find this Agenda? Or, did you mean Calendar? 2.I guess you meant how to turn off keypad sound? Well, if this is what you meant, then you go this way: Settings - Profiles - General - Customize - Keypad - Edit. In "edit" you select "silence" and save it ("save?" - "yes"). After that you will type without any sound. reza, 27 Oct 2014No it doesnt play music . only radioIt's not true, it plays music in wav.format. 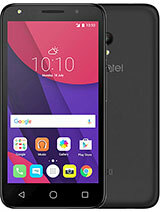 After you connect your alcatel to the computer, you can, for example, download music from youtube in mp3 format (using "youtube to mp3 converter", it's free), then convert mp3 to wav (there are sites that do this for free). Wav format songs take much more space then mp3 songs (maybe ten times more), so it's essential that you have SD card inserted (maximum 16 GB). On the other hand, wav songs sound better. I have some 55 wav format songs recorded and they use 1,9 GB of SD card. mmiskovic, 09 Dec 2014Can you select a picture for the contact, so it's displayed when they're calling you? thxI think you can't. There are lots of things that makes you wanna smash this phone at the wall. You cannot listen to the music that you recorded and in the same time text message or even see what is the time, you have to stop the music in order to do anything else. You cannot just simply record your music in mp3 format, no, you have to convert it to wav. format which takes a lot more space on your SD card (around 10x more per song). And you cannot just put the music on and listen to the songs going one after another, no, every time one song is over you have to make a click to start a new one. If you typed a long message and you decided to forget about it and not to send it, you cannot just simply get out of there by one click, no, you have to erase your message letter by letter, word by word by pressing the red button, it is so annoying. You cannot make for yourself any longer reminder because there are only 35 characters that you can use for writing a reminder, so you have to write abbreviations etc. There is no stopwatch, no timer (!). 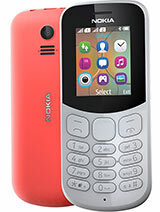 In message folder, you cannot erase entire conversation with some person because there is not such feature (like in Nokia), you have to erase message by message and if there is some 38 messages, there is no fast way to sweep through messages (like in Nokia), you have to open every one of them to make sure you're not going to erase something important. 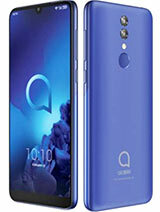 I have problem with my eyes, so this phone is ideal for me, I can't find phone with bigger letters and buttons, but as I said, there are so many annoying things about this phone and I hope people from Alcatel will read this and do something about it. cristina, 16 Jun 2015Why tells me i have insufficient memory whenever i want to use camera when there is a lot of m... moreI had the same problem. The solution is this (at least in my case): turn off the phone, wait for a little while, then turn it on. I had problem with radio and with camera, but everything was okay again when I turned off - turned on my phone. I hope this will help. jacko, 27 Oct 2014I am 80 and deaf on one side. Superb phone all round for a senior citizen. If you want all the... moreFine for a 13 yr old too! Does this have an mp3 player? I'm a high school student wondering if this will be suitable. 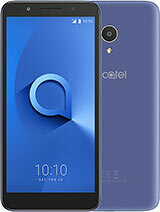 Could anyone tell me, please, how to go on internet in alcatel 2001x? It's under: Others - Services. When I try to get this "Services" it says "SIM not support!". What a heck is that? 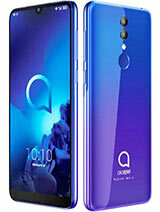 When I put the same SIM card into any smartphone it goes to internet without any problems, but it doesn't work with my alcatel 2001x (which i wouldn't change for all the smartphones in the world!). 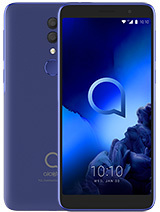 Does this mean that alcatel 2001x doesn't provide this service (internet) at all, or is it just some problem with this particular piece? Strans, 26 Dec 2014No, I read somewhere that it's not possible to assign a picture to a contact. And I have a... moreYou wanna speed dial? You go this way: settings - phone settings - speed dial. Then you choose a number which you want to assign to some particular phone number, then: options - edit - select name(i.e. number) from your contacts. Now you have a particular contact (i.e. person's phone number) assigned to a particular number on your key pad. All you have to do is to press and hold for a little while this particular number and your alcatel will dial this person immediately. Piece of cake. Why tells me i have insufficient memory whenever i want to use camera when there is a lot of memory available????? 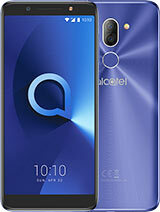 Total of 107 user reviews and opinions for alcatel 2001.